Bellator set up its cage in Rome, Italy to host its 203th numbered event last Saturday. The main bout pitted BJJ black-belt Patrício Pitbull against Daniel Weichel in a rematch for the featherweight belt. The fight was level throughout the five matches, with real winning chances for both fighters for the entirety of the 25 minutes. In the opinion of two out of the three judges, Patrício did better, meaning he gets to keep his belt. 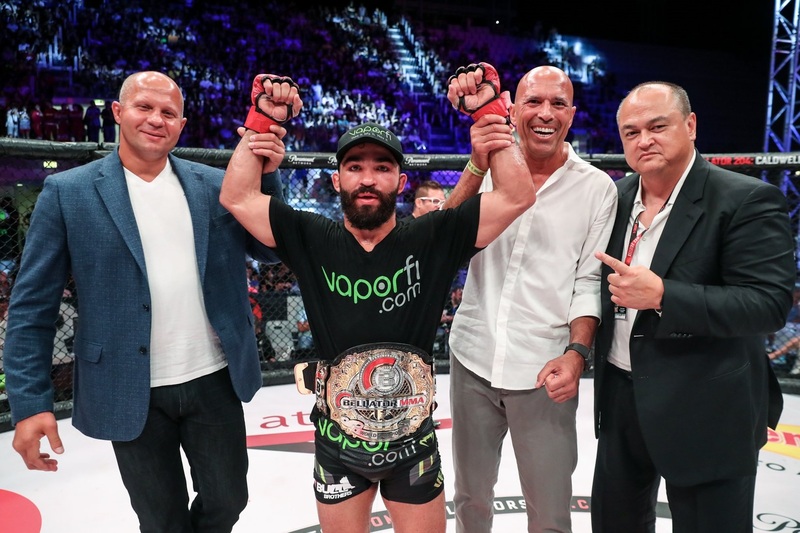 As he was receiving that belt back after the fight, the champion had his hands raised by no fewer than two MMA legends — Fedor Emelianenko and Royce Gracie. Click the videos below to catch the full five rounds.